Orchids are one of the more beautiful flowers in the world, though making that generalization may not quite be accurateThey have an astonishing variety of different types and variations, with new ones being cross-bred, invented and discovered all the time. modern and trendy decorative flower. Orchids are able to grow in many climates, owing to their versatility and variation of types. The flowers are used in several walks of life, from food to fragrance, and date back tens of millions of years. Here are some interesting notes about the history and uses of the orchid. - There are between about 22,000 and 26,000 different species of orchids, and the orchid family accounts for 6 to 11% of all seed plants. It may be the largest flower family that there is. - Vanilla, a popular flavouring, is derived from the Vanilla Orchid. While modern vanilla extract is usually derived synthetically, the natural plant is still grown and sold specifically for culinary purposes in some countries. 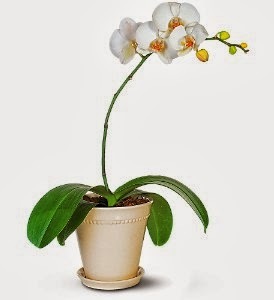 - Orchids are used in perfumes and aromatherapy applications. - They have been used for medicinal purposes throughout history, from the Ancient Greeks to modern times as a Chinese medicinal herbal remedy. Orchids are one of the more beautiful flowers in the world, though making that generalization may not quite be accurate. They have an astonishing variety of different types and variations, with new ones being cross-bred, invented and discovered all the time. - They have been used for medicinal purposes throughout history, from the Ancient Greeks to modern times as a Chinese medicinal herbal remedy.